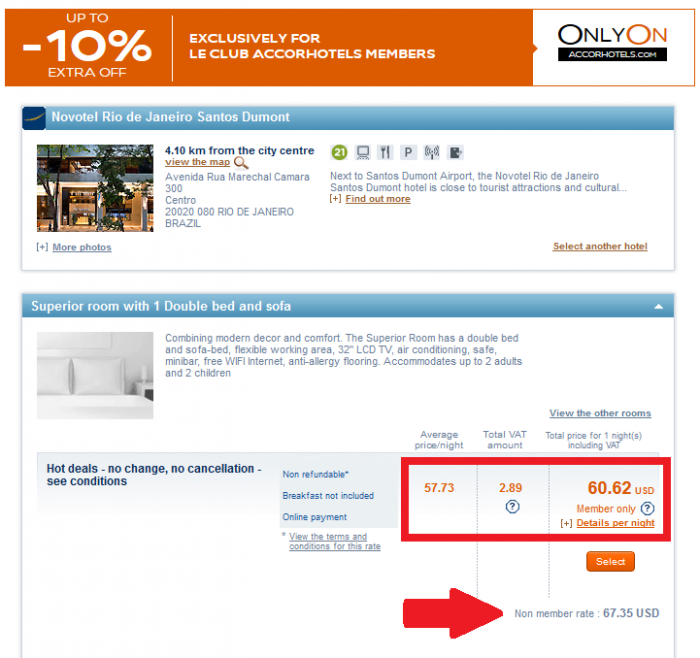 Le Club AccorHotels (yes that H is now capitalized) has quietly started to offer 5% to 10% discounts off of most rates including discounted ones for members that book on Accor’s website. These members only rates are available for those that book on AccorHotels.com and are either logged in or instantly sign up for the program. You can access this OnlyOn on Accor’s website here, although these rates when available will come up in the regular rate search. The discount is 5% at ibis, ibis Styles and Adagio Access. Note that for all the hotels in France this dicount is 5% regardless of the brand. There is a OnlyOn-rate banner that shows 5% or 10% discount depending on the brand. The 10% discount applied to the most rates available at this property for a weekday stay. 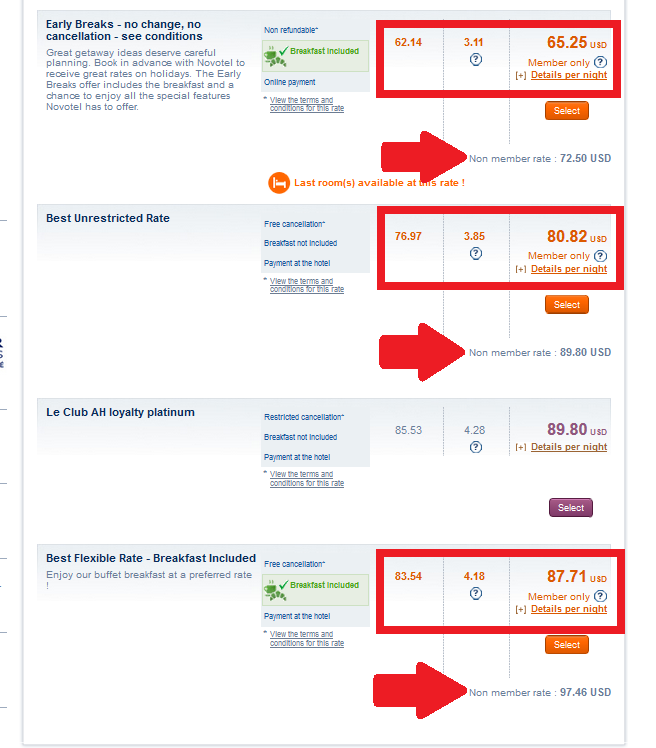 This must be a way for Le Club AccorHotels to “battle” third parties and OTAs where lower rates have been (and probably still are) available most of the time. Hotels tend to pay 15% to 25% commission for the likes of Booking.com and Expedia, and promise not to undercut their pricing. Many of these OTAs including the one mentioned above have started to offer member only pricing that is only shown when logged in. Seems that Accor has now copied this and started to offer discounts for members that book on Accor’s own website. Makes sense.